London, November 2014. On Wednesday 12th November, Hansgrohe, the German bathroom fittings and shower specialist, was among 400 professionals from the kitchen and bathroom industry invited to attend the annual Designer Kitchen and Bathroom Awards 2014. Held in the new venue “SuperNova” in central London the awards luncheon celebrated excellence in professional residential design and innovation in new product design. Hansgrohe was delighted to receive the Gold award for Innovation in Design in the bathroom products category for Axor ShowerProducts by Front. 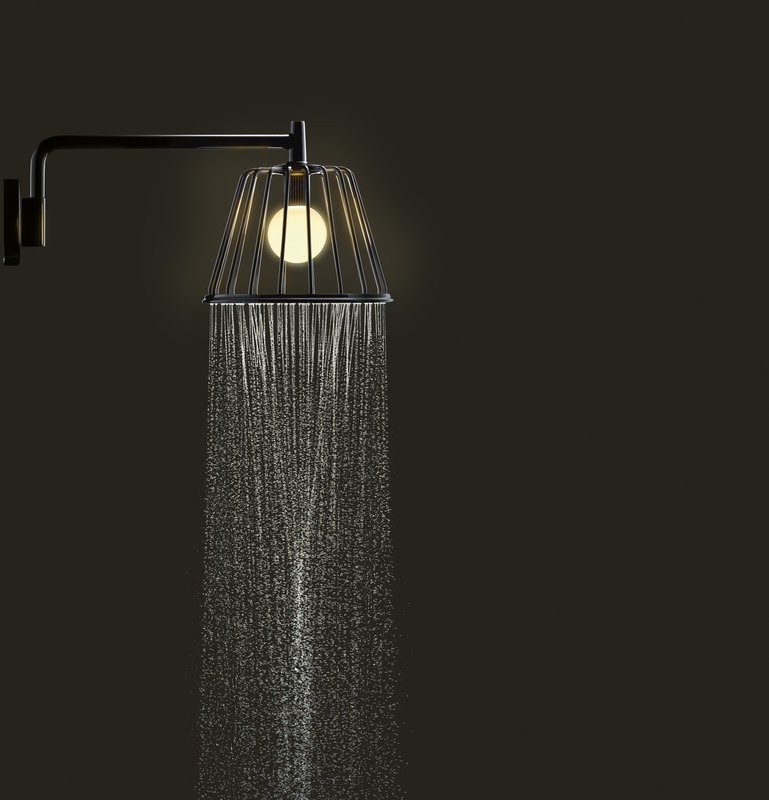 Twelve judges drawn from all corners of the industry recognised the design merits of Axor ShowerProducts by Front which won ahead of hundreds of entrants. Launched in 2013 by Axor, the designer brand of Hansgrohe SE, Axor ShowerProducts by Front allows users to experience water pathways in their original form. Designed to draw attention to the hidden aesthetics of technology in a particularly elegant way, it turns pipes, joints, valves and funnels into charming design objects. A total of five Axor products for the shower zone bear the signature of Front: a hand shower; a shower set consisting of a hand shower, a wall bar and a shower hose; an overhead shower as a ceiling or wall-mounted version with two different spray types and a showerpipe consisting of a thermostat, a height-adjustable overhead shower and a hand shower.